MCLC and MCLC Resource Center are pleased to announce publication of an essay by Tong King Lee entitled “Mobility as Method: Distributed Literatures and Semiotic Repertoires” as part of our online series. Too long to post here in its entirety, find below a snippet from the beginning of the essay. The whole essay can be found at: http://u.osu.edu/mclc/online-series/tong-king-lee/. 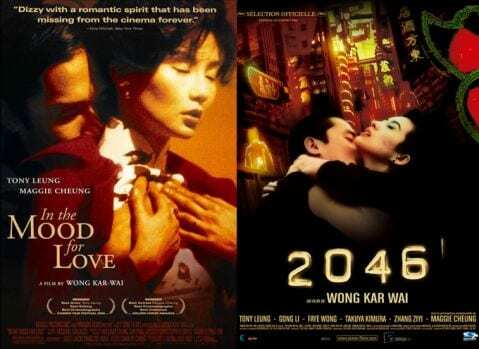 Posters of Wong Kar-wai’s In the Mood for Love and 2046. In this essay, I propose mobility as a method for thinking literature as distributed repertoires, using Hong Kong literature as an illustrative case. In speaking of literary mobility, we first need to come to terms with its nominal counterpoint: the situatedness and place-based nature of writing; in the context of Hong Kong, this is encapsulated by the notion of Sinophone Hong Kong literature (Shih 2008). My argument is that the mobile and the situated are not diametrically opposed; rather, they complement each other within a creative dynamic that enables the local and the global to reciprocally articulate each other in diverse semiotic constellations. The mobility turn in the social sciences, exemplified by the work of John Urry (2007) and Zygmunt Bauman (2000), has led to lines of inquiry that challenge stable structures and linear patterns, privileging instead the themes of movement and fluidity. More recently, Engseng Ho (2017) proposed the idea of mobile societies, suggesting that premodern Asia be conceptualized as Inter-Asia, a transregional axis constituted by networks of connections and circulations among peoples, goods, and ideas. Here mobility as method represents a theoretical attempt to dislodge the isomorphism between state and society, where the former is a territorialized, bounded political entity and the latter a dispersed concept transcending the perimeters of the polity. Registration is now open for the fifth offering of Hong Kong Cinema through a Global Lens, the first MOOC (Massive Open Online Course) on Hong Kong cinema to be produced anywhere in the world. The online course starts on January 22, 2019. Enjoy the conversation on Hong Kong cinema with internationally-recognized film studies scholars Professor Gina Marchetti and Dr. Aaron Han Joon Magnan-Park from the HKU Department of Comparative Literature and Dr. Stacilee Ford from the HKU Department of History and American Studies Program with the creative assistance of HKU TELI (Technology-Enriched Learning Initiative). “Calling the deer a horse: The CCP’s ham-fisted drive to control discourse in Sweden.” Interview with Jichang Lulu, Sinopsis: China in Context and Perspective [Prague, The Czech Republic], 28 november 2018. Both publications, the interview and the article, discuss the latest developments in the case of Gui Minhai, as well as the Chinese embassy in Sweden campaign to obscure the issue of our kidnapped citizen by way of disinformation, smearing, etc., and how Chinese state propaganda works — so that we can successfully resist it. A Chinese court has jailed nine former prosecutors for up to 15 years over the case of Hong Kong businessman and hotel owner Stephen Lau Hei-wing, who was tortured to death in custody last year. The Tianjin No 1 Intermediate People’s Court handed down the sentences on Tuesday, giving the nine defendants, most of them from Yanbian prefecture in Jilin province, less than two weeks to appeal the decision. Hong Kong’s education chief has been forced to clarify twice in two days that he had no intention of forcing schools to teach Mandarin, in what critics say reflected the sensitivity surrounding language in the city. Kevin Yeung Yun-hung was strongly criticised on Sunday after he suggested experts look into whether Mandarin, which is the official language in mainland China, should be taught instead of Cantonese, which is the dialect spoken in Hong Kong. The fight over control of a bulletin board at Hong Kong Polytechnic University escalated on Tuesday after a large piece of red paper that management used to cover pro-independence messages was reportedly torn down by a student. The incident happened a day before the deadline in an ultimatum issued to university staff by the student union and 37 other campus groups. They called for the removal of the red paper by noon on Wednesday. The board, also known as the democracy wall, was for students to post notices to express their views. In an unprecedented move, Hong Kong has banned a pro-independence political party, causing outcry among critics who see the measure as another sign of the China’s tightening grip over the city. The “rerun” of Massive Open Online Course (MOOC) on Hong Kong cinema will begin on 11 September 2018 (Tuesday). 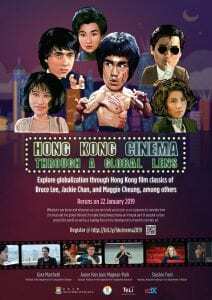 This is a great opportunity for you to understand Hong Kong cinema’s uniqueness and its continuing impact in transforming other national cinemas. 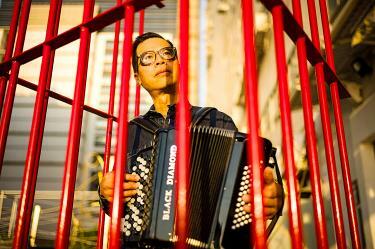 This pioneering online experience is under the direction of internationally-recognized film studies scholars Professor Gina Marchetti and Dr. Aaron Han Joon Magnan-Park from the HKU Department of Comparative Literature and Dr. Stacilee Ford from the HKU Department of History and American Studies Program with the creative assistance of HKU Technology-Enriched Learning Initiative (TELI).